A deeply intimate psychological portrait of a young woman's tragic childhood, her reinvention as a successful young artist in the literary circles of 1950s New York City, and her struggle to understand and overcome the trauma of her past. Growing up in the confines of Innisfail, a bleak town in upstate New York, bright and curious Marya endures abandonment, betrayal, and loneliness. A college scholarship offers escape, taking her to New York City, where she makes a name for herself in academic and literary circles. But success cannot overcome the damage of her childhood, pain that haunts Marya's personal, professional, and romantic relationships, and has left her unmoored. 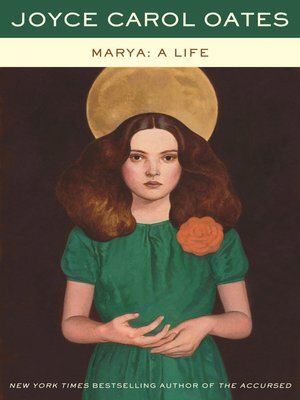 Psychologically nuanced, rich in insight and emotional complexity, told with the unsettling power of Joyce Carol Oates's gothic novels, Marya: A Life is an intense look into the psyche of a young woman and an illuminating exploration of how the past reverberates throughout our lives.